From Dad to Anne. Powell’s, Portland, Dec 2017. Fifty-five years ago a man sat in a diner somewhere in the United States, pulled a book from his pocket, and inscribed a short, touching note to his daughter on the first page. As he did so, did it occur to him that a person not yet born, in another place in another century, would one day read his words? Or that the book he inscribed would travel from that counter top on a journey that would see it end up, in 2017, on the shelves of a used bookstore in Portland, Oregon? He signs off with a simple, “Dad”. Whatever became of Anne? Or her father? Were they close, a dad and daughter who knew each other well enough to know that one would enjoy the Dylan Thomas book that the other had just bought? Or were they distant, or becoming so? Is the absence of a sign-off simply the sign of a less emotionally-open age, or a clue to their relationship? Re-reading the note, as I stood between the shelves in Powell’s this week, I wondered how far the book had traveled. I can’t locate an Olympic Grill in Portland in 1955. Perhaps the man sat in the still extant Kelly’s Olympian, nearby in downtown Portland, or in another establishment in another part of the country. The place is likely gone, like the man himself and, quite possibly, his daughter. But his small gesture remains, on the opening page of a crumbling $5 book that – perhaps because of the note inside – I couldn’t bring myself to buy. “What will survive of us is love,” wrote Philip Larkin. I hope that I held a small piece of it that afternoon. Here’s my Christmas wish: peace and quiet. An absence of bad news – or indeed any news – for 24 hours. Phones turned off. Conversation, of course, and some downtime with a book too. A decent glass of whiskey, a nice serving of Christmas dinner (whatever’s served, Christmas dinner always tastes great, in my experience), a good, strong coffee – all important. A little, but not too much TV. Perhaps a board game (after all, it is Christmas.) 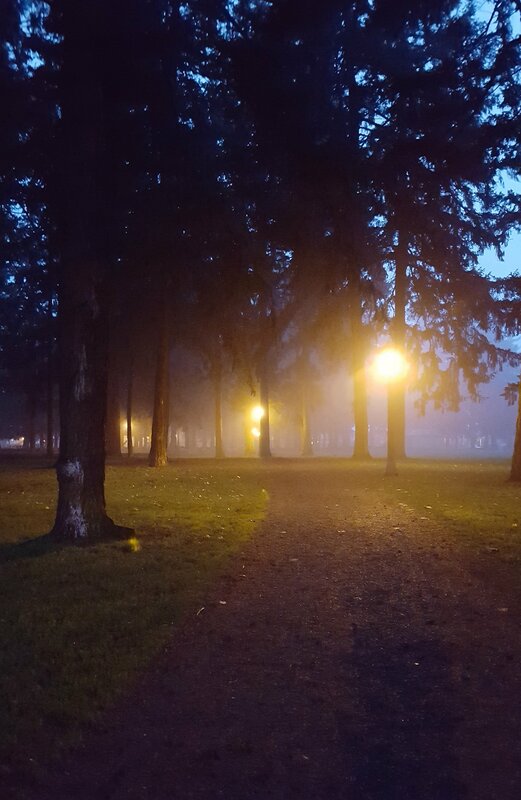 A walk in the afternoon, fresh air between the raindrops. And family, of course, far and near. Whether they’re 4,500 miles away or in the next room, they always feel closer at this time of year. And, above, under, and throughout it all, peace and quiet. Silence. Everything and everyone turned off. A perfect holiday, for one day. After 30 years of the song every Christmas, this is probably not a bad thing. Over the years I’ve heard it often enough – at Pogues’ concerts, in convenience stores, badly sung in crowded bars, blared out in taxis, whistled by a guy at a bus-stop, and so on. The fact that I now live in a city where the song is rarely played on radio (in my experience, at least) or in a bar, and is unknown to most people I encounter, has been something of a relief. There was a time when it wasn’t Christmas until I heard those first piano notes but, away from Ireland, they’ve become less, not more, resonant. Much as I still admire its craft though, Shane Macgowan and Jem Finer’s song doesn’t speak to my experience. But that also doesn’t mean that I haven’t been seeking out voices from home, and so, in recent weeks, I’ve been listening at length to another emigrant Irish songwriter. 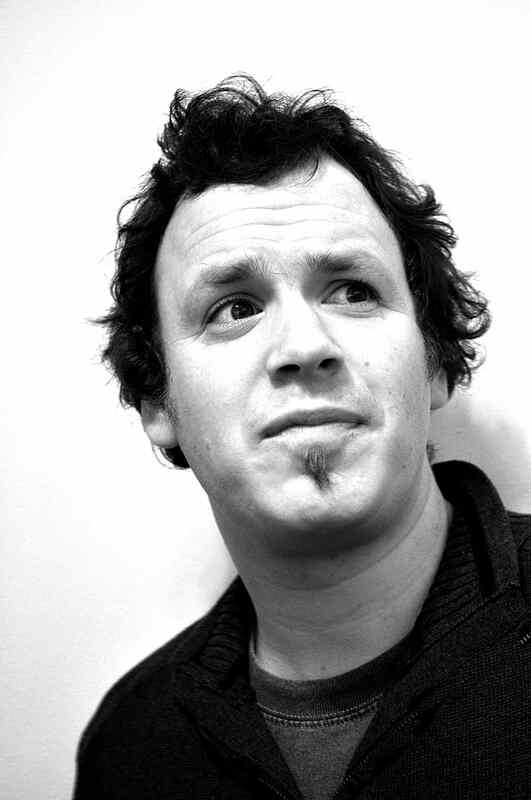 Seamus Fogarty is a Mayo man based in London, who writes songs about bodysnatchers, Vincent Van Gogh’s ears, working on building sites in England, missing a bus and sleeping in a church in Carlow town, the health of Irish traditional music, and burial at sea, among other topics. Luckily enough his new album, ‘The Curious Hand’, also contains a Christmas song, and – joy to the world – it’s not a million miles removed from the beer-stained, exhausted mood of ‘Fairytale’. ‘Christmas Time On Jupiter’ begins with the singer waking on Christmas Day in a Chicago hotel room, to find a Mexican spy he’s spent the night with rifling through his wallet. From there – with a touch Shane Macgowan would be proud of – things go downhill. I was sitting by a fire on Christmas Day. When I got into my house I was offered more. As family Christmases go, it’s hardly traditional, but – as much as ‘Fairytale’ three decades ago – Fogarty evokes one type of immigrant life at Christmas, where casual friends and booze might be just enough to keep the loneliness or the homesickness at bay. 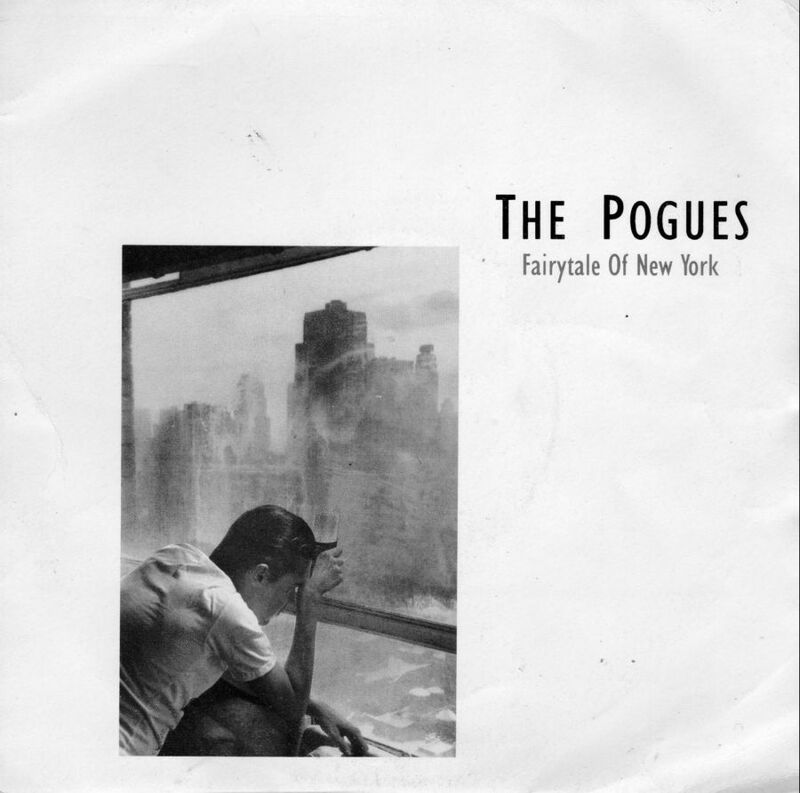 It may not prove as enduring as the Pogues’ song but it updates it, and so it’s taken the ‘Fairytale’ spot on my Christmas playlist. Not that – thankfully – I’m likely to hear either in the store tomorrow. It may be hard to believe, but there was a time when the Pixies (always with the definite article) were about the most mysterious band I’d ever encountered. Back in the early Nineties the internet didn’t really exist (at least not for me), and music magazines were expensive. My teenage knowledge of the band and it’s music was therefore mainlined from their albums. Throughout those years Black Francis seemed like some caterwauling, demented monk, hellbent on screaming his visions of violence, Catholicism, and sadomasochism over an explosive quiet-loud-quiet sonic tapestry. Needless to say I couldn’t get enough. Even the last album of the classic Pixies era, the patchily-reviewed ‘Trompe Le Monde’, seemed daring and exotic to my 15-year-old ears – and even more mysterious than the other records, now that the band were singing zeitgesty tunes about the Roswell Incident. Then, of course, the Pixies split up. In the years that followed neither Black’s solo material or Kim Deal’s outfit The Breeders – great as the latter were – could fill the gap. By the time the original band reunited in 2004 I was far too deep into a British folk music obsession to bother spending a three figure sum to see them in a big, windy park. And that was where I thought I’d leave it. Once every six months I’d blast ‘Surfer Rosa’, maybe read the odd interview, but I never really believed I’d see the Pixies live. Until last month, when I did. Well, technically speaking at least. It might have been by way of seeing two bands on two different nights in two separate venues, but, either way, I finally ticked another one off my musical bucket list. First up was Kim Deal at the Wonder Ballroom a few weeks back – a show I wrote about previously. This week it was the turn of her three former bandmates, Black, Joey Santiago, and David Lovering, touring as the Pixies with Paz Lenchantin replacing Deal, at the Roseland Theater. It was a big night for 39-year-old me, and an even bigger one for the 15-year-old that’s still some inside my head. Where was my mind? Somewhere between being knocked out by the rapid-fire dispatch of indie classics, and being a little down about the fact that I never caught the original band in their prime. Nowadays it seems that the Pixies constantly tour – and it shows. This was a tight set, with barely a missed note (if you discount Lenchantin’s wobbly vocal on the encore ‘Into The White’). At times it was a little too tight – no sooner had one all-time classic ended than Black was off again, lashing into the next tune. If it felt a little overpolished at times, well, so be it. Mind you, their thunderous takes on newer songs ‘Um Chagga Lagga’ and ‘Head Carrier’ left little to complain about. And did I ever think I’d hear their version of Neil Young’s ‘Winterlong’? Throw in ‘Something Against You’, ‘Nimrod’s Son’, and the Nineties Irish indie disco staple ‘Monkey Gone To Heaven’, and you had the makings of a good, and seriously loud, night. My only complaint was that it wasn’t 25 years ago.